University of California Press, 9780520238046, 359pp. Amid the turbulence of political assassinations, the civil rights struggle, and antiwar protests, American society was experiencing growing affluence and profound cultural change during the 1960s. The film industry gradually redirected its energies, resulting in a distinctive break from traditional business and stylistic practice and emergence of a new "cinema of sensation." Feature films became faster-paced and more graphic, the antihero took his place alongside the classic Hollywood hero, and "downer" films like Midnight Cowboy proved as popular as those with upbeat fare. 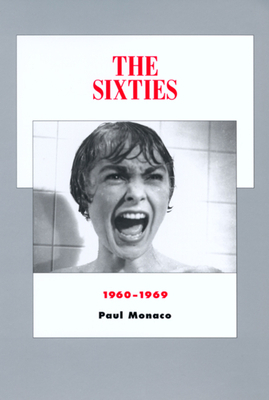 Paul Monaco gives a sweeping view of this exhilarating decade, ranging from the visceral sensation of Bonnie and Clyde, to the comic-book satire of Dr. Strangelove, to the youthful alienation of The Graduate. Paul Monaco is Professor of Cinema/Video at Montana State University, Bozeman. Among his books are Understanding Society, Culture, and Television (1998) and Ribbons in Time: Movies and Society since 1945 (1987). He has twice received Fulbright fellowships to Germany.